With 40+ years’ architectural and construction experience, Wayne Winkelbauer is highly skilled in estimating and project management. 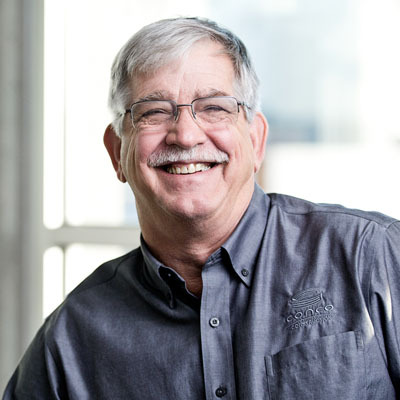 A member of the Conco executive leadership team since 1988 he supervises the daily operations of Conco’s office personnel, including the work of project managers and estimators. He has developed many positive relationships in Wichita and the surrounding area as a result of his work across multiple industries and hundreds of projects. Well known for his interest in the quality and dynamic of work happening in the trenches, he provides critical oversight for every project under contract and support to the project team where needed. His knowledge of construction and estimating helps guide project managers in needed areas to help achieve project goals and timelines.